Description: Audrey continues her babysitting adventures with yet another adorable little girl. But it looks like it won't be so easy! 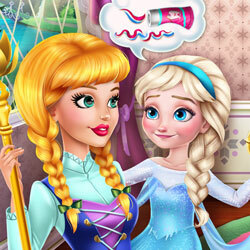 See all the amusing ways in which the little future Ice Queen wants to prank her nanny! But don't worry, they'll become friends in the end, and even find time to play a fun game of dress-up before the parents return!